Yes, all. Laugh at my lack of self control at starting new projects! I did actually plan to join in on Bonnie Hunter's Mystery quilt, On Ringo Lake, this year after sitting on the sidelines for the last few years. However, after seeing the initial fabric requirements, with 3-5 yards suggested for four different fabrics, I almost changed my mind! I wasn't totally taken with the original fabric suggestions - aqua, coral, brown, and neutrals. After seeing all of the creative alternate color combinations others were planning to use, I decided to go out on a limb and come up with my own color combination after Clue #1 came out on Friday. 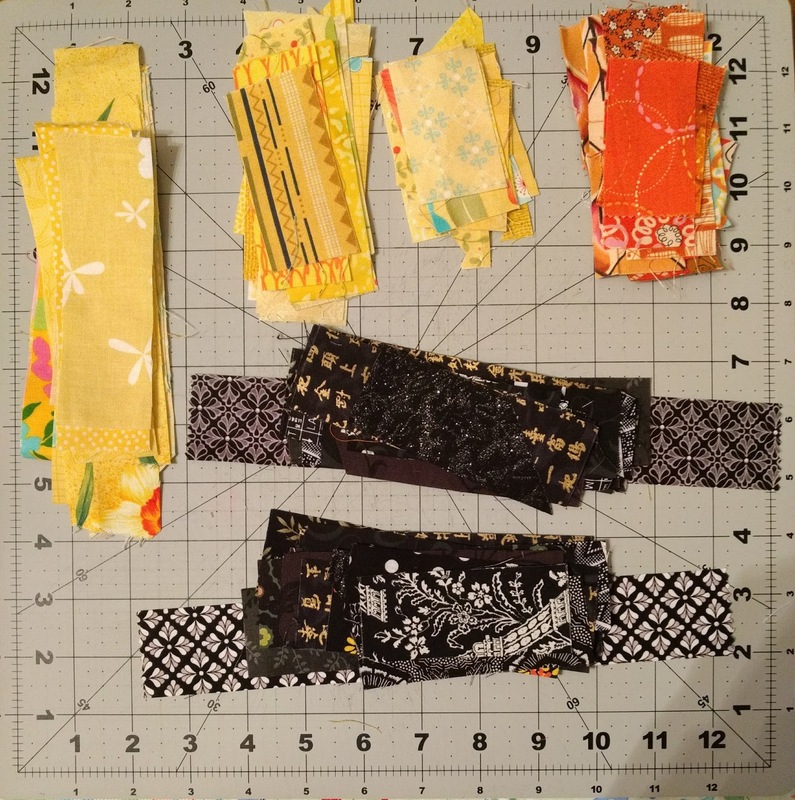 My new color scheme is yellow (replacing aqua), TBD (coral), orange (brown), and black (neutrals) and I'm only making half as many units as Bonnie "prescribes" in each clue for a smaller quilt. The color that will replace coral is TBD only because we didn't use it in the first clue. I have three options -- aquas, pinks, or lime green. I'm not sure what to do just yet, so tell me what you think in the comments! The first clue was to make nine-patches. The above photo is from when I had cut all of the strips for my nine patches. I cut from my strings first and then cut from small scraps, estimating how much fabric I would need for my units. I strip pieced my strips and did all of the sub-cutting in one evening and finished up the nine-patches the next. I did a surprisingly good job estimating how much fabric I would need for the first clue - I ended up with no extra components and had one extra nine-patch! It's also fun to look at some of these scraps and remember where they came from! The black and gold Chinese writing print came from a charm square swap I was in in 2012. 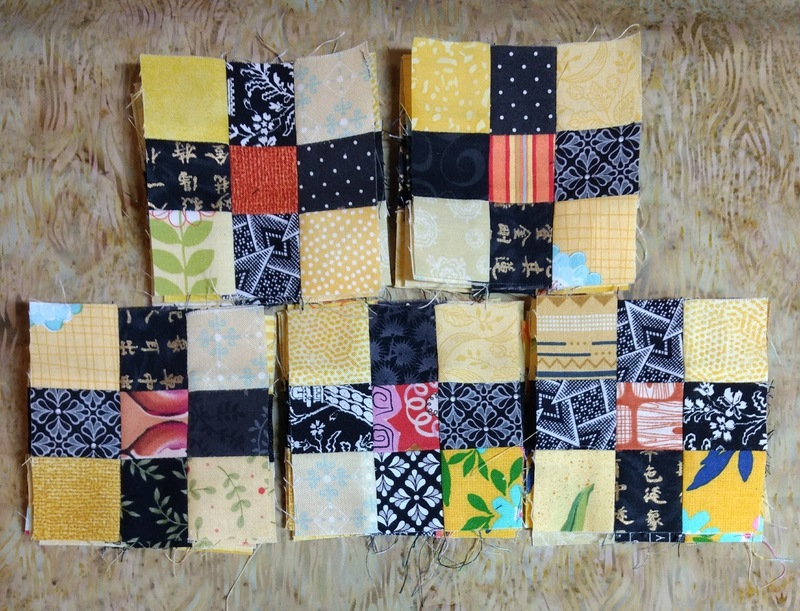 The bright yellow floral is from my first quilt for Moda Bake Shop. The orange in the lower left nine-patch is from my Gathering mystery quilt. Check out all of the other progress in the Clue #1 link up! Also linking up at NTT! I accidentally on purpose have taken this week off from blogging to plan for Thanksgiving, clean my house, work on some quilt projects with deadlines, and cuddle my bunnies. Next week I'll be back with a new Moda Bake Shop pattern as long as the weather continues to cooperate for pictures. You might have seen this preview on Instagram! Keep an eye on the Honey, Bunny, and Doll Etsy Shop on Black Friday for a big sample sale! I will try to post a link to that on Friday. It will mainly be throw sized quilts, but there will be some smaller quilts and at least one queen sized quilt if you're looking for gifts. Finishes make me SO happy! The last little bit of quilting on my Meadow Quilt involved more meanders and loops in each corner. I pulled four different binding fabrics -- I didn't have enough of any of my original fabrics left to use for binding, and I decided against using the blue floral backing. I narrowed it to two -- magenta and emerald -- and finally settled on magenta! I decided to hand bind this one -- mainly because it was good timing to sit and stitch on a binding while watching TV! I am so pleased with how this quilt came together! This is the perfect throw size - 60 inches square. I love all of the quilting textures in this quilt and am so happy with the way the different prints coordinate and contrast with one another. While there isn't actually much white in the quilt top, I think the white background of the binding print is a good contrasting element without being too different. The magenta color is the same as the magenta print fabric and the magenta in some of the pansies. The navy print also shows off the white thread that I used so well! The white thread blends with the fabrics on the front for lovely texture, but I like being able to see the white wiggles, loops, and curls on the navy backing. It was SUCH a nice break from projects with deadlines and projects for others and to do something just for me! Now back to reality! Fun facts: Everything but the backing came from my stash! Given that I've accomplished some finishes recently, I allowed my self to start something new! Amanda Jean Nyberg's newest book has a pattern called "Donuts (the size of your head)" which immediately caught my eye. I got this book as a birthday present in June, so I'm impressed I made it all the way to November without starting a project from the book! Once a section is 6.5 inches wide or more, I cross cut it to 6.5 inches, then rotate the block 90 degrees and trim to 6.5 inches square. For the diagonal blocks, I use my 6.5 inch square ruler to approximate what strips are good fits for the angled parts of the block and continue adding until my ruler is covered with a significant overhang. These get trimmed to 7 inches because they'll eventually become the HST portions of the blocks. With the rings being interconnected, my plan is to make all 18 sets of blocks before doing any sort of assembly. I'm already halfway done with the block sets -- only 9 to go! My next round of block making will need to be a few green blocks. This project isn't using quite as many small scraps as I had originally hoped given that most of the strips used need to be at least 6.5 inches long, but I am having a lot of fun with the quick results! I'll have enough block sets for a quilt top soon! Sharing at Let's Bee Social, Needle and Thread Thursday, and Oh Scrap! PS. I would really love your input on what kind of quilt along to host next year! There's a post on the Honey, Bunny, and Doll Facebook page! Despite the fact that this quilt doesn't have a deadline, I used my Friday off work to start the quilting on my Meadow Mystery quilt because I had already cut the batting for it and already knew how I wanted to quilt it! I started at the center and was quickly able to complete the first block with meanders in the pink background and loops in the pansy print. Next came the four blocks with magenta piecing -- more loops in the pansy prints, curls in the dark teal, and squiggles in the magenta/background sections. In moving from one section to the next, I was able to quilt a significant portion of the background section between the center piecing and the "diamond" of pansy print around the center blocks. This meant a lot fewer necessary thread breaks which is always good! I did the entire loop of green triangles with one pass! The next set of dark teal fabrics also has loops, curls, and wiggles in the pink diamonds. The best part? The hardest part of the quilting is done! 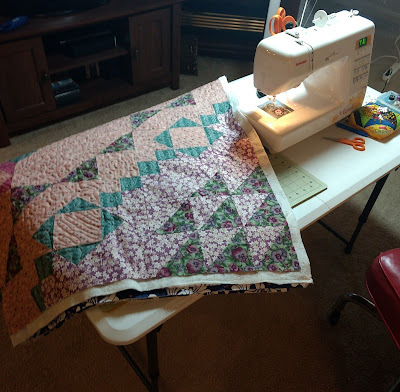 I always struggle with the center of a quilt, and now that it is done, it's easier to move the quilt and I have less fear of puckers, tucks, and pleats in my backing! Once I got done with the outer section of teal blocks, I went ahead and trimmed the quilt to eliminate some of the batting and backing bulk -- I trimmed it larger than I do when ready to bind, but enough to eliminate a lot of the excess bulk. 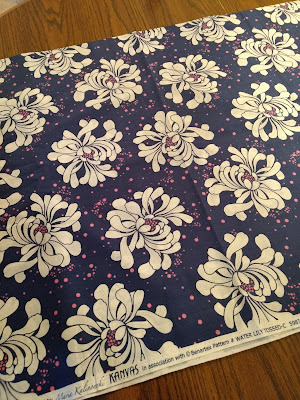 Oh, and check out this beautiful backing fabric! Looking forward to sharing this finish later this week! 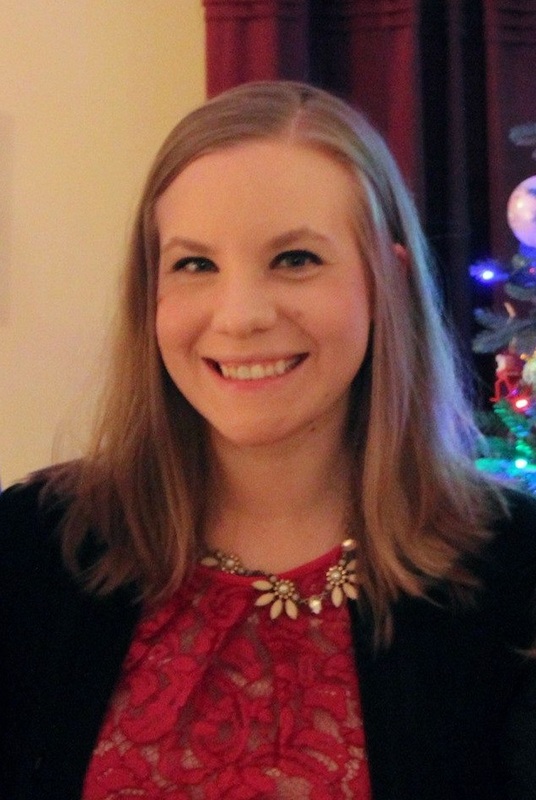 Sharing at Main Crush Monday and Linky Tuesday! 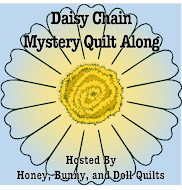 If you've been around Little Bunny Quilts for a long while, you might remember that I started this blog while I was in graduate school studying chemistry. This year, my two best friends from undergrad both started teaching chemistry at the college level and I have been secretly working on something special for each of them! I had actually made a periodic table wall hanging in 2014 for my old adviser so it was easy to repeat the process! I even kept nearly all of the color assignments the same, with the exception of swapping out the black background for white backgrounds in my new versions. Within each wall hanging, there are no fabric repeats! Each wall hanging has all of the same fabrics, but just laid out differently. I was able to pull all of the squares from gigantic box of 2" squares that I "borrowed" from my mom. These two wall hangings are slightly shorter than the original, but I did the same free motion quilting in these -- cursive lettering of all of the chemical symbols for the elements! In the background of each, I did a simple meander. 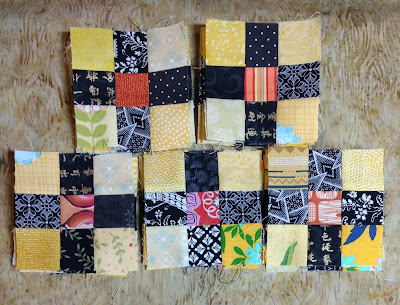 The backing, binding, and hanging pocket of each quilt came from my box of "large scraps" -- usually the ends of yardage left over from projects. 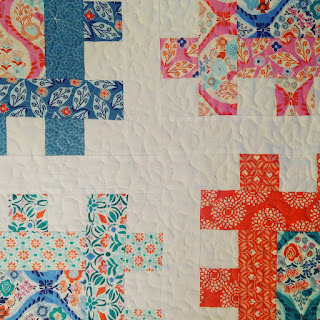 I pieced the battings too -- these were truly scrappy projects! The first quilt backing is pieced with a large navy and green stripe print and a section of green left from my Christmas Twirls quilt. The second quilt backing is pieced with three different fabrics - a black leaf print, a magenta dot, and the white stripe print leftover from the backing of the Clover Sunshine quilt. I used the same green floral print for both pockets. I used some of the leftover backing fabric from my Favorite Frames quilt for the binding for the first quilt. For the second quilt, I used burgundy dot print (also used in one of my Firecracker quilts) for the binding. These are in the mail to my friends and I can't wait for them to get them! Sharing with Finish it up Friday! Hooray! The pattern for the Faceted Friendship Star quilt is now available! A fun thing about the Faceted Friendship Star and Faceted Churn Dash patterns is that the borders are interchangeable! Both patterns are perfect for using up "waste triangles" from stitch and flip units too! These patterns are perfect for those 2.5" scraps in your stash! A new month means that there are new directions for the Magnolia Mystery Quilt! This month, we are making blocks out of the units we had made in September and October! This month we made 32 full flower blocks and 8 half flower blocks. Cheryl gave some helpful tips for those of us who are making scrappy versions of the quilt which were great! First, I made the sets including half blocks. Each set has one right-facing half block, one left-facing half block, and one full block all with the same blue fabric. For the remainder of the full flower blocks, I made them in sets of four. In total, I used seven different blue fabrics and five different red fabrics in my blocks. The green fabric is the same throughout. Given that we've made half blocks, I think that our quilt will end up on point, but I'm still unsure how everything will come together! We'll also be doing more cutting in a later month, so we'll see where that takes us! Sharing at Oh Scrap, Main Crush Monday, Let's Bee Social and Needle and Thread Thursday! I did technically get three pink blocks done for the Rainbow Scrap Challenge done in October! These three pink blocks bring my house block total to 42. Originally I had planned to make 48 blocks, I realized that butting all of the blocks right up next to each other might look a little odd so I think I am done making blocks for this top. My plan is to put sashing in between the rows of houses to make each row of houses look like they each are on their own road. I realized that I never had an Island Batik giveaway in October, so that's on the agenda for today as well! Up for grabs is 20 2.5 inch strips from the Northern Woods Collection along with a 1/4 yard cut of one of the brown prints! I used the other half of the strips in my Faceted Friendship Star quilt. Want to win? Any comment on this post is entered to win and I'll pick a winner on Tuesday! 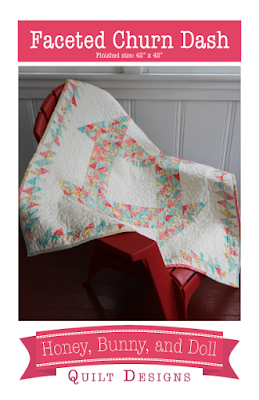 Our winner is Dianne from Little Penguin Quilts! Sharing at Finished or not Friday, Scrap Happy Saturday, and Oh Scrap! Yep, it's that time again already! October wasn't extremely productive but I did finish two quilts! 1. Finish Stash Bee Star Quilt - done! 2. Finish October IBA project - done! 3. Start quilting Meadow Mystery Quilt - didn't even touch this project! 4. Put together Top Spin top - done! 1. Farmer's Wife Quilt (RSC 2016 project) -- Hoping to pick up this quilt from Michigan soon. 2. Traveling Quilt Bee (2016) -- My sister has this quilt to add on a section of her choosing. 3. Coast to Coast Bee -- My "quilty wish" was April Showers fabric for my border. I am waiting on a few more packages to arrive before I start! 4. Top Spin leaders and enders -- The top is done! Now to figure out how it will be quilted. 5. Meadow Mystery QAL -- While I wanted to get this done in October, I have things with deadlines to try to get done first so this will have to be pushed back for the time being. 12. Happy Houses blocks -- I cut out parts for 5 houses and have made three thus far -- post coming Friday! 14. Monthly Island Batik Ambassador projects -- You can see my finished October project here! November is our "off month" so I will be starting on my December and January projects this month. 15. Gathering Mystery Quilt with Cora's Quilts -- Taken to the long arm quilter. 16. Magnolia Mystery QAL -- All done with our October assignment and planning to work on November's assignment this weekend. 17 and 18. Blue in Bloom quilts -- Need to finish by mid-December! 19. Secret scrappy leader and ender projects -- tops are complete and ready to quilt! I am doing a Moda Bake Shop project for this month that will be published around Thanksgiving! No other new projects allowed the rest of this year!